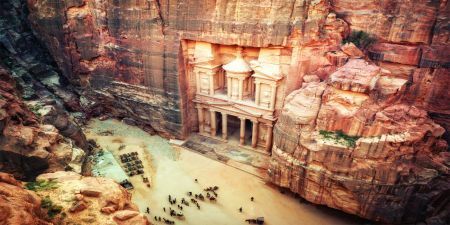 Drive to Cairo from Alexandria Port to visit the Pyramids of Giza and the Sphinx. 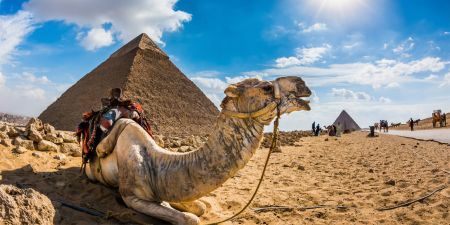 Then head to the center of Cairo to board a boat for a lunch cruise on the Nile with delicious food and a show about Egyptian folklore before driving back to your ship in Alexandria. 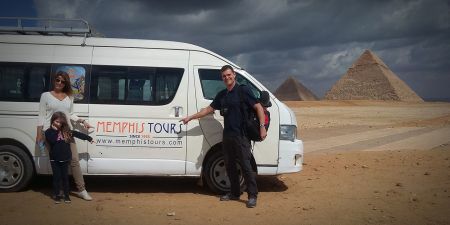 Upon your cruise arrival at Alexandria port, your tour manager from Memphis Tours will pick you up by the cruise exit door, holding a sign of your name, then you will be escorted to Cairo by air -conditioned vehicle ( about 3 hours drive). Get excited by visiting the Pyramids of Cheops, Chephren and Mykerinus. 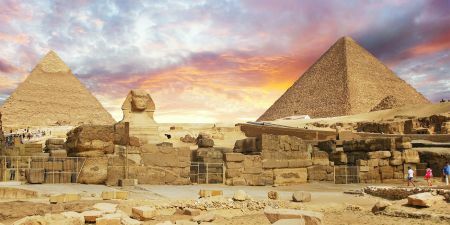 Then proceed to visit the Great Sphinx, the head of a pharaoh with a lion's body, which dates back to the time of Chephren; the tour also includes a visit to the Valley Temple, which belongs to the Pyramids of Chephren. 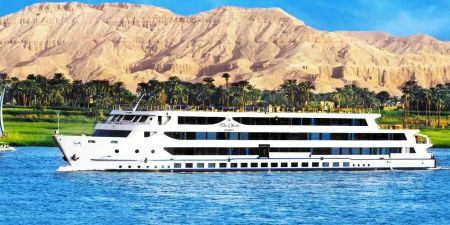 Then move to enjoy a relaxing lunch cruise on the Nile for about 02 hours starting 15:30 and end by 17:30 includes one hour sailing experience, a sumptuous buffet lunch as you glide past Cairo's waterfront landmarks and are entertained by a folkloric show and oriental music. Finally you will stop at a Papyrus Institute where you will have the opportunity to shop for souvenirs of Cairo and Egypt before driving back to your cruise ship in Alexandria Port.